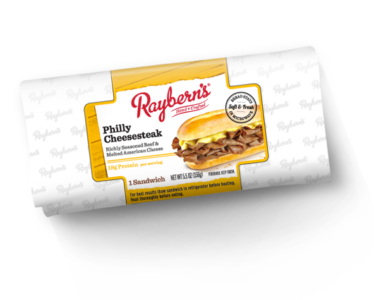 Raybern’s is a heat n’ serve sandwich company and includes America’s bestselling Philly Cheesesteak sandwich. Every week more than a million sandwiches are made by hand. Raybern’s began in 1978, bringing breads, meats and condiments to some of the greatest delis in the world. Over the years, the company has earned a reputation for the quality of its meats and breads. Later, the company created its own line of Raybern New York Deli Style Heat N’ Serve Sandwiches. Raybern’s Philly Cheesesteak recipe is 30 years old and the pastrami recipe was four years in the making. It then took a year to perfect the bread recipe to get that bakery-soft roll from the microwave. Every sandwich is wrapped in old-fashioned waxed deli paper. Today you can find us in the refrigerator or freezer section.